UWWTV – Tomorrow! UW-Whitewater Men’s Basketball to Host UW-Lacrosse! Tomorrow night, inside the confines of Kachel Gymnasium, UW-Whitewater Men’s Basketball will face-off against UW-La Crosse. 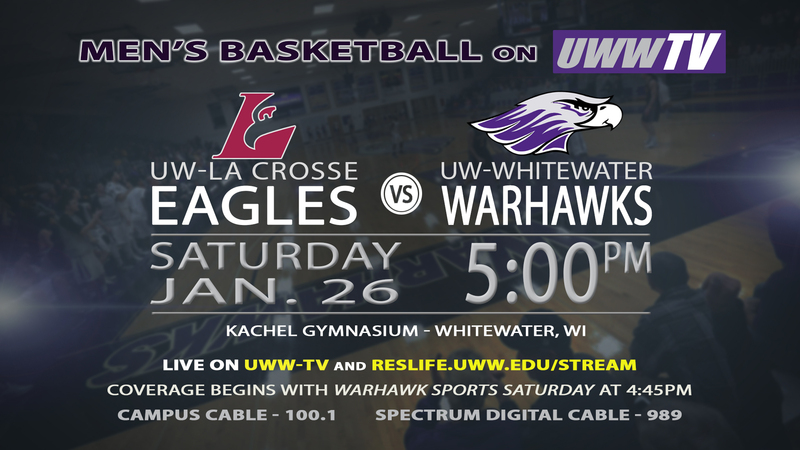 Toss is set for 5:00 pm CDT, but UWW-TV will be filling you in on all things Warhawk and WIAC Basketball beginning at 4:45 pm CDT with our court-side version of Warhawk Sports Saturday. UW-Whitewater holds an overall record of 14-4 going into this conference match-up. They bring a 3-4 record in conference. La Crosse wears an overall record of 13-5 and a conference record of 6-1. Will the Warhawks tip the scales on their bottom-heavy conference record; or will La Crosse continue to smash the conference and remain top-heavy as we head toward WIAC Championships in February? 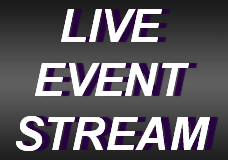 The only way to find out, without being in the bleachers, is to tune in LIVE to UWW-TV tomorrow night at 4:45 pm CDT! You’re not going to want to miss this neck and neck contest.